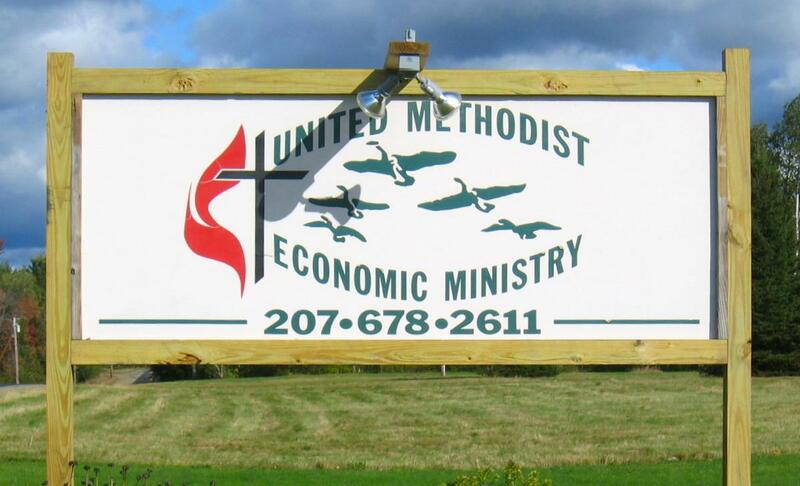 We support the work of the United Methodist Economic Ministry in Salem, Franklin County, Maine. The outreach to the mission has provided books, items for the thrift Shop, and for gift giving with winter night clothes, Christmas gifts and toys, and handknit hats and mittens. 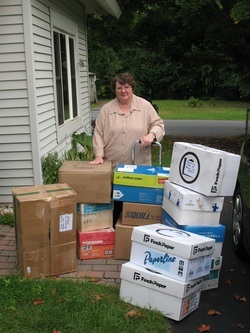 Items have been delivered during the summer months by the Saratoga Springs UMC mission team and multiple trips by Ilah Sisson Walser and her sister Breta Sisson; as well as shipments made throughout the year. The ongoing ministry of making hats, mittens, scarves, and other items is done throughout the year from the loving knitting needles and hands of Ilah, Breta and many other talented knitters and crafters. Yarn can be donated towards this project by leaving it in the church in the labeled baskets in the back of the sanctuary. Most any kind of yarn is useable but knitting 4-ply yarn is the most used for hats and mittens. Any donations are truly appreciated! The mandate of helping those around us was stated in Matthew 25, when Jesus said, "as you do it for the least of these you have done it unto me." We reach out to help in ways that make other lives better from keeping heads and hands warm in winter, to providing sleepwear for all ages, to sharing books and cookbooks, to warm blankets against the cold Maine winter nights. We, also, continue to support ministries for the Lakota People in South Dakota by providing books and hats and mittens to projects in Rapid City and on the Rosebud and Pine Ridge Reservations. In Todd County where Rosebud is located there is vast poverty and not many work opportunities in the rural area. The proud Lakota People are our brothers and sisters and we value our friendship with them. Contact Ilah Sisson Walser or the church office for more information or how you might help out these worthy mission programs. Snapshots of the continuous work that is done!